Summer brings long, hot days! But, the question that every runner asks themselves is, what's the best time of the day to go running during summer? For runners, high temperatures become an additional challenge. 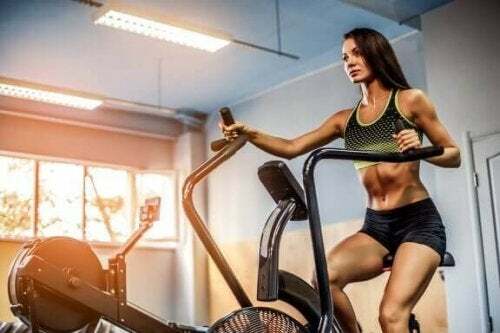 Apart from having to face long distances and established routines, higher temperatures come into the equation and can end up affecting performance. Find out the best hours of the day to go running during summer. The most advanced runners have very specific routines, which involve particular training and goals. For other runners, extra factors such as schedules and personal taste, play a role. 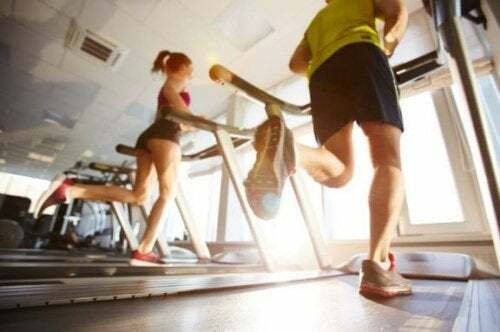 For example, those who enjoy staying up late will rarely schedule a running session in the early morning. Some people, due to work or family responsibilities, have only certain hours available to run. Those hours can literally be at any time of the day, and it can sometimes be unpredictable for them. 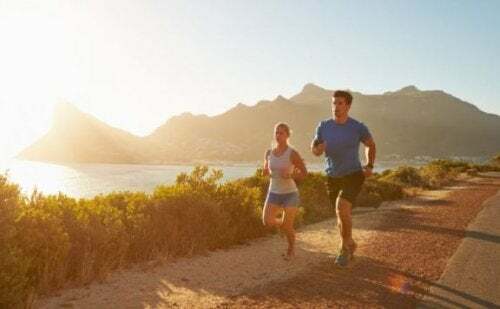 Although it’s more common that these hours are early in the morning or in the evening, it can happen that the possibility to put on some shoes and go out running, presents itself at noon. When the sun’s rays and the temperature is at their highest. It’s always better to maintain a routine before you resort to canceling your running session due to the weather. Of course, you shouldn’t leave your responsibilities behind; just try your best, and find a time that works. Nonetheless, there will be days when the heat will make it impossible to run. 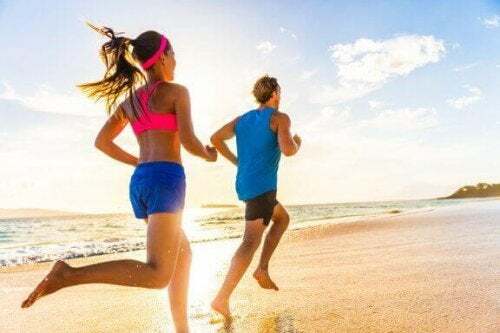 Actually, most experts say that the best hour of the day to go running during summer is either during the first hours of the day or the last. The hours when the sun hasn’t fully risen, or when it completely sets. 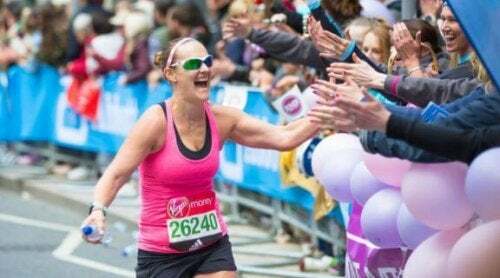 Apart from high temperatures, the direct exposure of your skin to UV rays is one of the most dangerous things runners have to deal with, without even mentioning the risk of sunburn when they’re not properly protected. More than heat, what can make a running session impossible during summer is humidity. In fact, the heat index is the value that runners must pay the most attention to when planning their training. Levels of humidity generate the apparent temperature, after averaging the air temperature and water rate in the environment. Humidity is a factor that makes running during the first hours of the day in coastal areas between July and August, a very bad idea. During the night, temperatures usually drop. The habit of running at high levels of humidity is not recommended. The body can’t properly cool down through sweating, which makes the sensation of suffocation almost unbearable. If we must choose the ideal time to go running during the summer days, it would be after 9 pm. The sun has set completely and humidity is generally lower than that of the morning hours. Most runners try to avoid the hours between 11 am and 8 pm; this is a period when conditions are extremely harsh. 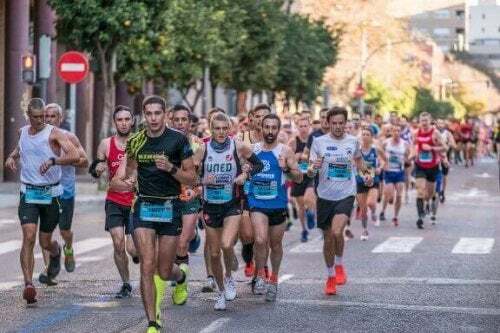 However, there are experts who recommend that you seize the challenge, that it is, prepare the body for running in the worst weather conditions possible. If you want to try this, pay special attention to how you feel and don’t go too hard. Remember to reduce the risk of heat exhaustion by wearing the correct clothing and by drinking water. And, again, pay attention to what your body tells you. Besides choosing the best time of the day to go out for a run during summer, you shouldn’t expect to reach your fullest potential. The environment will force you to make double the effort; it’s not the time to try and break your personal record. You’ll have plenty of time to do that during the fall in much more comfortable temperatures. Is It Good to Go Running in The Heat?